The name ‘Project Blue Book’ given to a study conducted from 1952-69 by the US air force sounds a lot less mysterious than it actually was. The researchers gathered reports of UFOs (Unidentified Flying Objects) and then analysed them to figure out whether they represented a threat to national security. Over the course of the study 12,618 cases were documented and analysed; of these most were categorised as misidentifications of natural phenomenon or conventional aircrafts. However in a small percentage of cases (701 cases – 6%) the cause could not be explained even after stringent analysis. Does this mean that extraterrestrial activity, or mysterious phenomenon, are more likely than we like to believe? The idea of mystical phenomenon and extraterrestrial activity is often depicted as silly if taken too seriously, at best they are viewed as the basis for some great movies and books. Yet several cases of UFOs could not be explained by researchers even after the most vigorous search for an explanation. 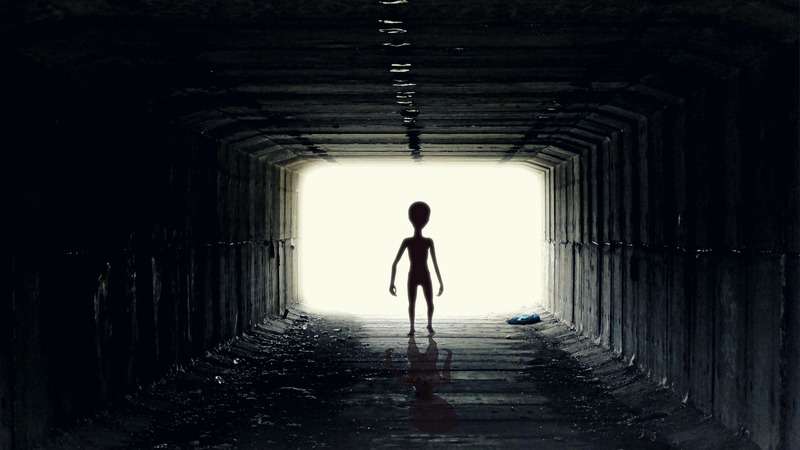 By no means was Project Blue Book the first time researchers gathered and analysed UFO information: Project Sign ran similar investigations in 1949 and was followed by Project Grudge in 1949. I am highly sceptical of aliens and UFO sightings, yet the case known as the Rogue River Incident shows that some phenomenon are hard to explain away. Briefly summarized, a group of six people were fishing on the Rogue River when they saw a round, barely moving spherical object in the sky. Using binoculars to magnify the picture 8 times, they saw a metallic aircraft of unfamiliar design, roughly 10m in diameter, a rounded fin on the roof, and no conventional means of transportation. Remarkably, it made no sound. Your instincts might be the same as mine and put this down to a hoax. But several facts give this case credibility: the incidence was corroborated by all six people on the trip, two of whom were employed in aeronautical research and can therefore be expected to differentiate between unfamiliar and conventional design. Moreover, this even never went public and can therefore not simply be labelled a hoax. Many people – myself included – tend to look upon people who believe in mystics or extraterrestrial activity as silly and unscientific. Yet Project Blue Book turns the tables: maybe we are the ones who are being naïve and ignoring the evidence.